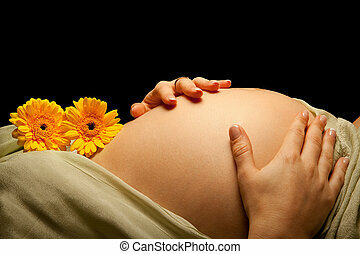 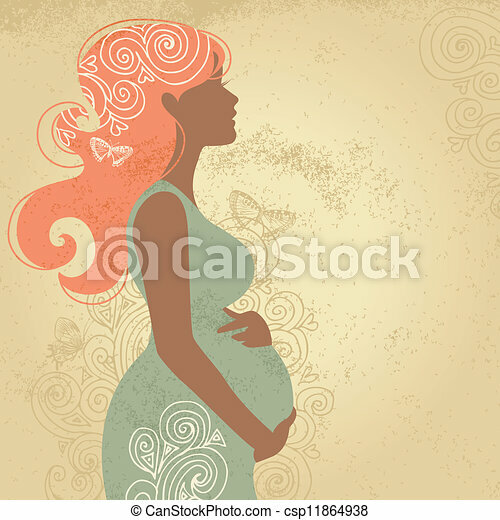 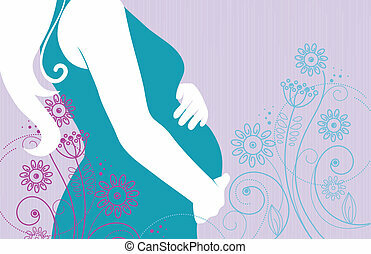 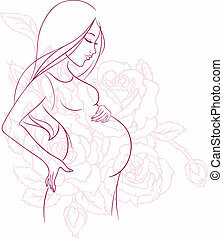 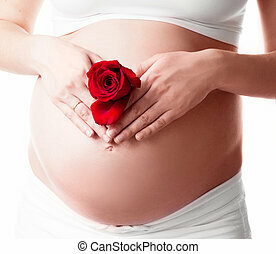 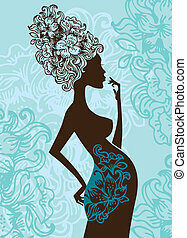 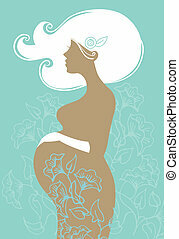 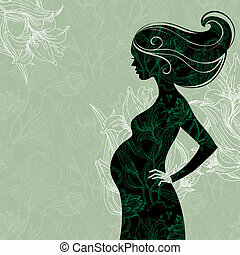 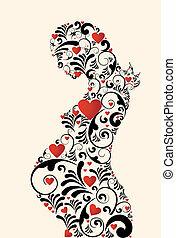 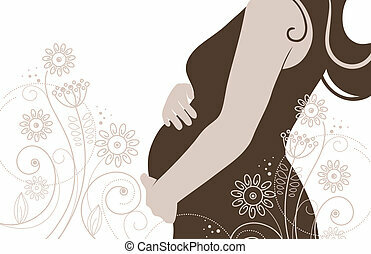 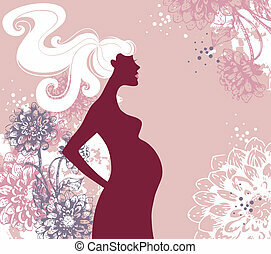 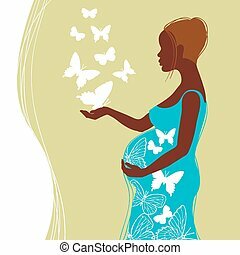 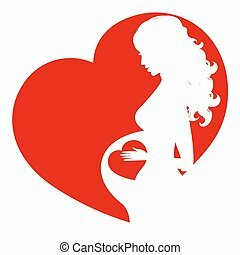 Silhouette of pregnant woman in flowers. 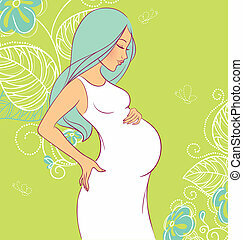 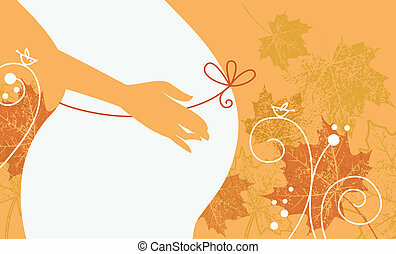 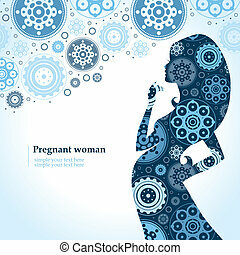 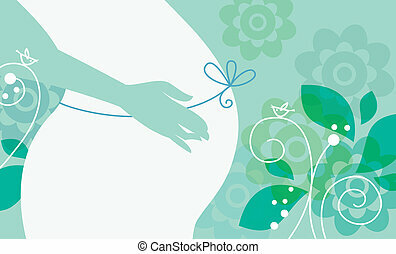 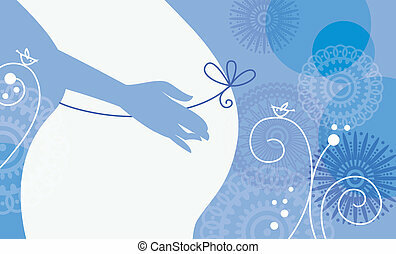 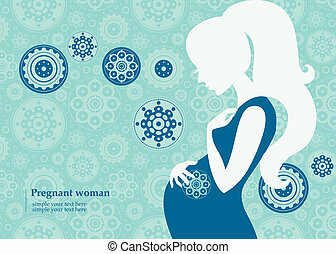 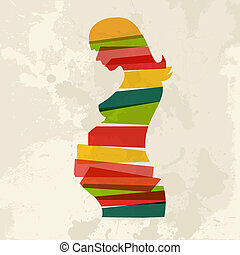 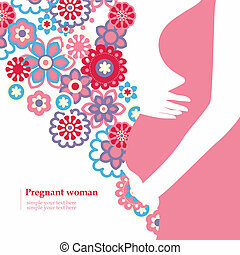 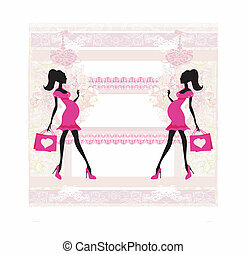 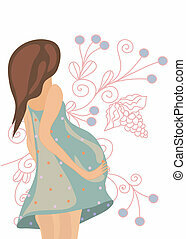 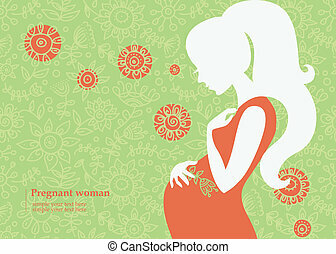 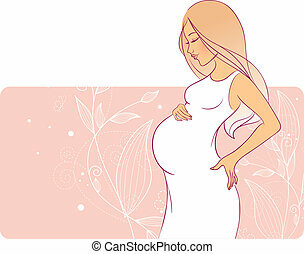 Diversity colors transparent bands pregnant woman over grunge background. 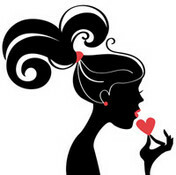 EPS10 file version. 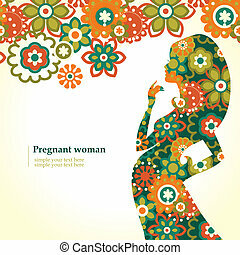 This illustration contains transparency and is layered for easy manipulation and custom coloring.